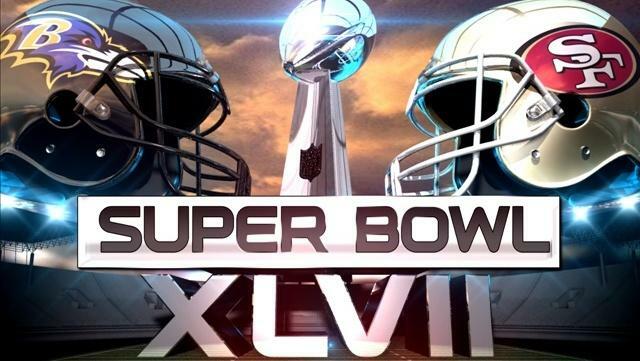 Most people watch the Super Bowl because they are sports fans and love football. Others watch just to see the halftime show or the commercials. Then there are thousands of Clevelanders who watched Super Bowl XLVII in hopes of seeing the Baltimore Ravens get beat by the San Francisco 49ers, badly. Unfortunately for those people, they did not get their wish. I was only 12 years old when Art Modell announced he was moving the Cleveland Browns to Baltimore. The announcement came after the team made the playoffs the previous season and seemed destined for further success in the near future. Born in 1983 I did live through the Browns’ glory years of the decade. However, I have not one memory of them. I do not recall ever seeing “The Drive,” “The Fumble,” or any of the big plays which made Bernie Kosar so beloved in Cleveland or John Elway hated by Cleveland. I do recall hearing “Bernie, Bernie” to the tune of “Louie, Louie” when I was a child. But that is all I remember. Still I was devastated when the Browns were moved from Cleveland because the previous season was the only memory of winning football I had and wanted more. From that point on most Clevelanders looked at the team which became the Baltimore Ravens with nothing but disdain. I freely admit I was not one of those people. To me the Browns still existed. Most of the players remained on the team. In my 13 year old mind they were still the Browns, just in a new city with a new name and colors. People called me crazy and others would not speak to me. But the fact is while it hurt to lose my team, I only had a few years of memories of Cleveland Browns football. So I probably was not as devastated as those who do remember those great teams of the 80s, and especially those who were alive for the 1964 NFL championship team. I cheered the Baltimore Ravens players for the next three seasons until the Browns returned to Cleveland and even a couple seasons afterward. I sided with the Ravens when they won Super Bowl XXXV in 2001. Clevelanders, including my own family, could not understand why I would back a team that was stolen from us by Art Modell. That was just my point. Ownership withstanding, I cheered for the players that had no control over who their owner was or where the team was being moved. To this day I still do not have any issues with the Baltimore Ravens. I do not cheer for them every week like I used to for those three seasons the Browns were gone, but the hatred for them simply is not there. I do not cheer against them unless they play against the Browns. Unfortunately most others in Cleveland have not joined me in this line of thinking. Art Modell gave up ownership of the Baltimore Ravens almost nine years ago. He passed away three days prior to the 2012-13 season opener. Yet, most of Cleveland’s hatred of the man and the Ravens franchise by association still exists and probably always will. When the Ravens won its second Super Bowl last night, defeating the San Francisco 49ers, 34-31 after a shocking Superdome power outage and fending off a comeback sparked by young Niners quarterback Colin Kaepernick, the hatred continued to pour over social media. Clevelanders once again cursed the departed soul of Art Modell and displayed remarks about Cleveland being tortured. What these people fail to understand is the Baltimore Ravens are only what the Browns could have been, not should have been. When people say it should have been the Browns instead of the Ravens winning the Super Bowl in 2001 and last night, there is only an inkling of truth to those statements. The Cleveland Browns and Baltimore Ravens are completely different franchises. Obviously history would not have taken the same course as it has the last 18 years because the Baltimore Ravens would not exist in the same way they do today, if at all. Furthermore, even if the Browns drafted Ray Lewis like the Ravens did in 1996, it is foolish to believe the team would have played out the ensuing seasons in the same way as the Ravens. The history of the league itself would also be completely different if move had not taken place. Yes, the Cleveland Browns were stolen from us right when it appeared the team was heading in the direction for sustained success. Yes, there is a chance they could have at least made it to the Super Bowl if not won by now if the original franchise remained in Cleveland. But there is no guarantee. That is how I am able to watch the Baltimore Ravens play with success and win Super Bowls without any sense of feeling like a tortured Cleveland football fan. While I can understand the feelings of such fans, I always wonder how much longer they will continue to torture themselves. Will it be when the Browns finally turn into a successful team? Call me crazy again, but I have my doubts. Even if or when the Browns do win a Super Bowl in the future, many Clevelanders will still resent the Ravens because they “should have been us” with their wins many years before. The hatred for Art Modell, long after his death will still exist. As renowned Cleveland chef Michael Symon said on his Facebook page today, “living in the past will never help the future.” Sage words to live by. Nice read. I lost interest in football when Bernie left the team, eons ago, but did watch the Super Bowl this year because I wanted a Raven’s victory for my grandsons who will have some treasured memories of a championship feeling. I loved it!